You can't make bullets without primers. 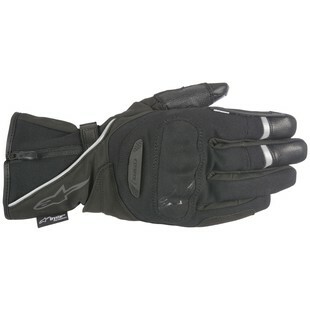 And you wouldn't go on a ride in the rain without Alpinestars' new Primer Drystar gloves, would you? For all your rainy, cold rides-- they have you covered. The fact that the Alpinestars Primer Gloves offer an impressive blend of textile and leather in a sub-$100 glove is nothing to scoff at. If palm padding a PU knuckle protection isn't enough to keep your mind at ease, the CE Level 1 rating certainly will. If you're worried about productivity while you're away on two wheels-- fear not, the Primer Drystar gloves have touch-screen capability and a visor wiper. Reflective panels means cars will see you better too. Waterproofing is brought to you with Alpinestars' proprietary Drystar, and warmth comes by way of a 60g insulated layer. If you're riding in the cold on a budget, these are your new best friends. If you're crossing the globe on a $25,000 German masterpiece, you can pay someone to keep your fingers toasty. If you're doing it on something far less glamorous, you need a $100 glove that can do it all, and that's the Alpinestars Primer Drystar.